In a way, my adventure was the best thing ever. I loved it. Our guide Victor was the Man. Our meals were delicious. Our cook Fabián was the Coochiwato. Hilario was hilarious and Alejandro was the best horseman ever. Like Nike: Just do it! Lo Mejor! 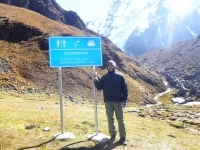 The Salkantay Trek is incredible. Prepare to sweat, laugh, eat amazing, view some of nature's finest mountains and bundle up in warm clothing. This trip was wonderful! 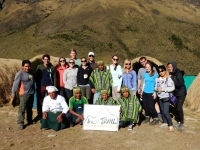 Im sitting at dinner with my fellow Team Puma friends reminiscing about the challenging hikes, the breathtaking views, and our wonderful new friends and the Inca Trail crew. 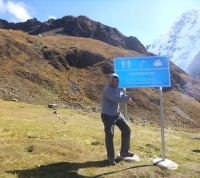 This Adventure, the people, our Guide (Victor), the Peruvian food (Fabián, our cook), the service from everyone involved, has far exceded my expectaciones. I enjoyed meeting new people and making new friends. It was the trip of a life time! 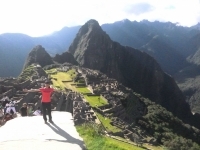 i have a much greate apreciation for Peru, its people and the culture. 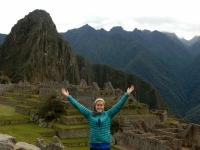 We had difficulty getting to Cusco due to multiple flight delays, and Inca Trail was extremely accommodating.They redid our itinerary multiples times and made it possible to still join our trekking group one day late. my boyfriend and I began this adventure with great excitment and we certainly were not disappointed. Our tour consisted of a 5 Day tour. 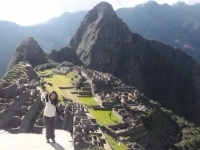 I have been always dreaming about doing Machu Picchu adventure and would definately recommand Inka trail Reservations. I have had to pleasure to get to know Carlos the King of the Mountain and his chefs, porters and rest of the team,They have been amazing during these difficult 4 days and they have made the experience a memorable. I highly recommend booking a trip through this company. 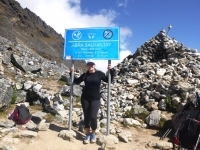 I completed the four day salkantay trek which i also recommend for great views and exposure to peru's outdoors. My personal experience was amazing and never short of mysterious and magical. We were lucky enough to have perfect weather the entire trip. I couldnt have imagined seeing and experiencing so much in only four days. 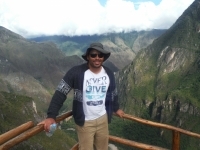 I felt challenged physically, and mentally. 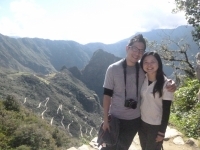 The hike was thoroughly enjoyable !!!. 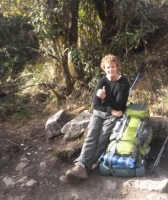 Our guide Victor was encouraging & positive and i liked the fact we had a nice small team of 9 hikers. "Best team!" 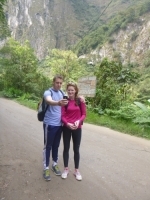 Really enjoyed the trek with Victor as our guide always encouraging, patient and very funny. 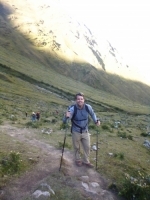 Victor is a humorous guide with lots of motivational phrases to encourage the group. We had a small group of 9 hikers which made the trip more personal. 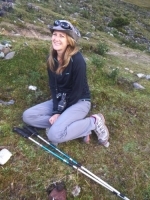 Having sprained my ankle 2 weeks prior to the start of the hike, i was very worried about my ability to complete the 42km journey. Knowing that by completing the hike there was a possibility of causing more damage,i decided to attempt it anyways. This was a very good decision.